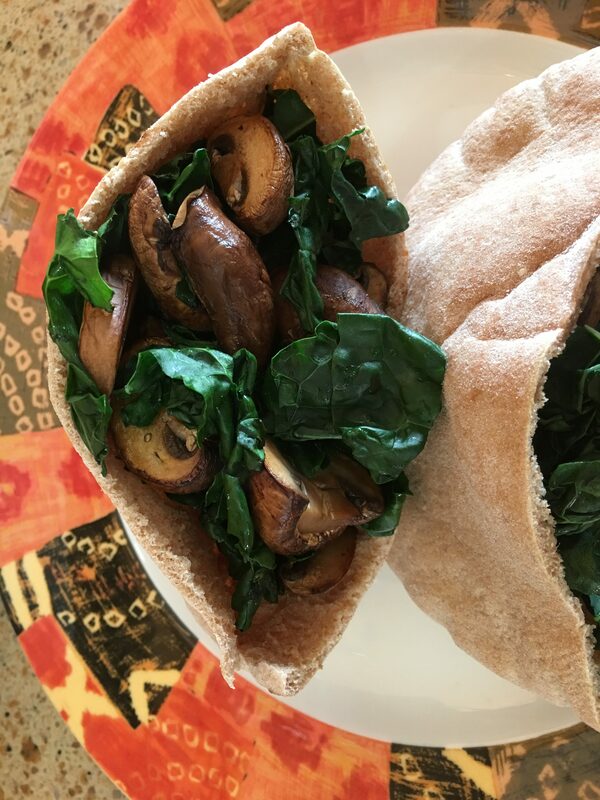 With just 4 ingredients: dark green lacinto kale, mushrooms, nutritional yeast, and whole grain pita bread, the Kale and Mushroom Pita takes about 10 minutes to make. 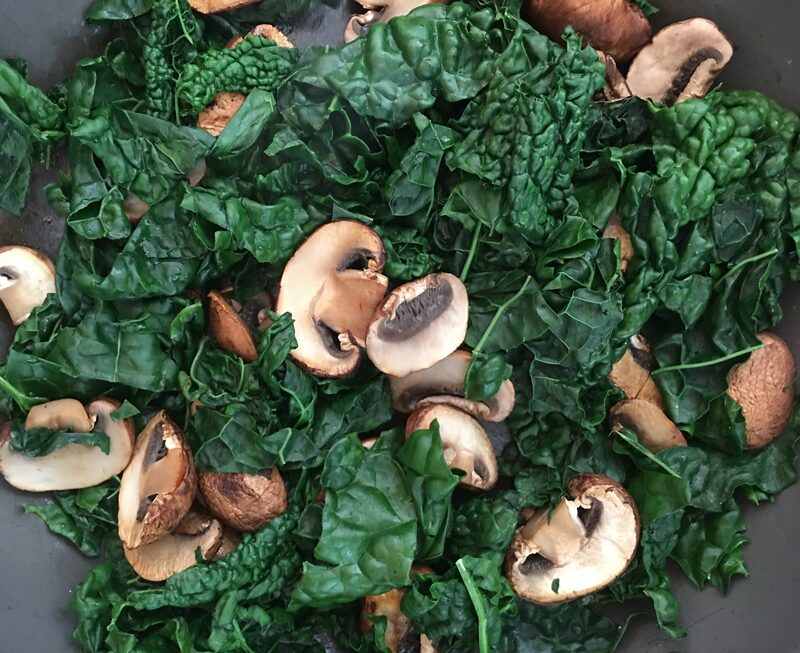 The biggest time sap is cleaning and cutting the mushrooms and kale which can be done ahead of time (or buy pre-washed baby kale), covered and refrigerated until later in the day. 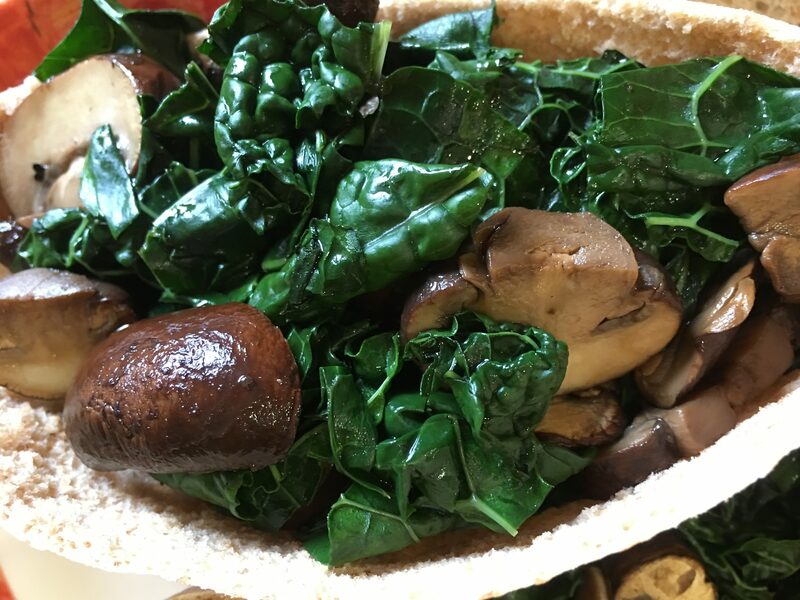 Also note that 8 ounces of mushroom and 4-5 ounces of kale may appear to be a lot of vegetables for one pita but both vegetables cook down substantially. Rinse and dry the mushrooms and the kale. Cut the kale leaves from the middle spine of the leaf. Chop the green leaves. Turn the stove on medium high and place a large frying pan on the burner. Slice the mushrooms and place into the hot frying pan (note: no oil or water is needed as the mushrooms will release water when heated). Stir and toss the mushrooms until they are light brown and tender, but still firm. Turn the heat off. 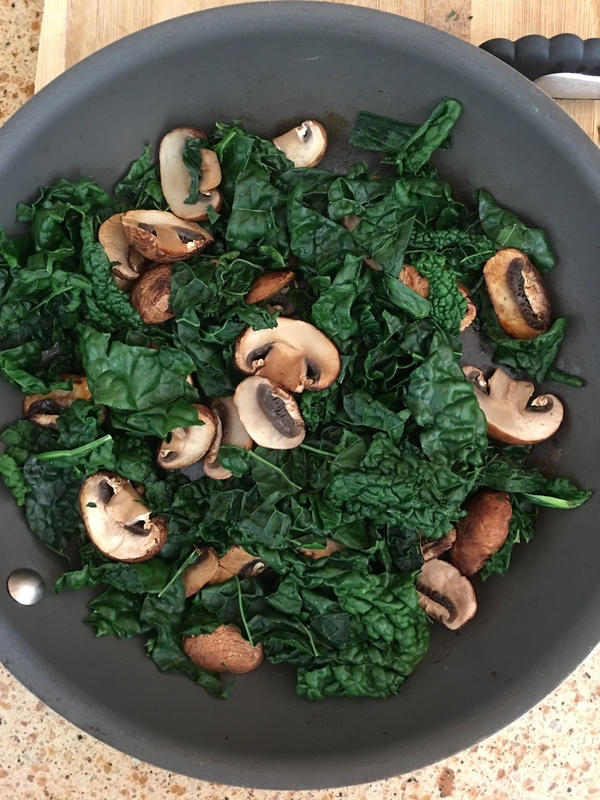 Place the chopped kale leaves over the mushrooms and cover. Wait 2 minutes and then remove the cover and stir the kale and mushrooms. Drain the mushroom and kale mixture on a few paper towels to remove the liquid (otherwise, the pita will get soggy). Sprinkle the nutritional yeast over the mushroom and kale mixture. Gently open the pita halves and fill with the mushroom and kale mixture. 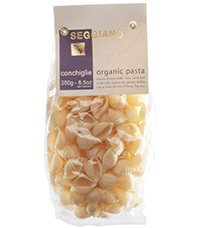 Enjoy as is or serve with a side of roasted carrots or potatoes. ← How is $100 to the Carter Center Spent?